Small group classes that are designed to improve strength and mobility whilst getting an invigorating workout. The body was designed to be able to move freely and fluidly through range of motion yet be able to instantly and reflexively resist movement when required. 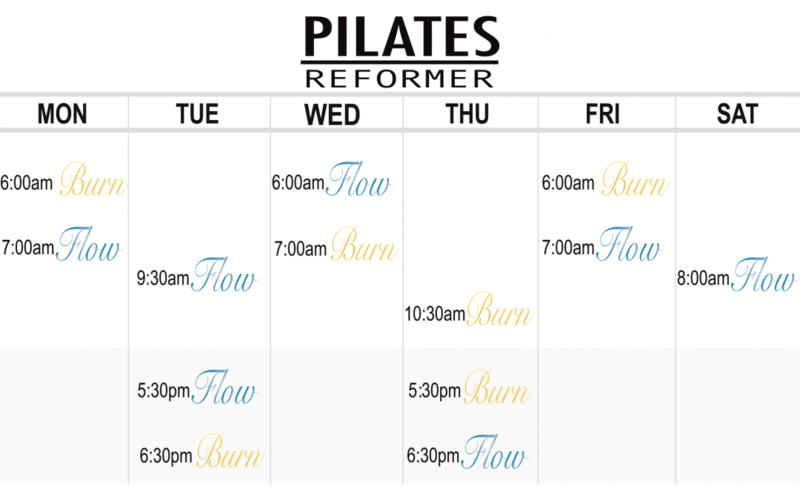 Introducing Reformer Burn and Reformer Flow. They were each created with the other in mind and you'll get the most out of your reformer classes if you include both in your weekly schedule. Incorporate these into your current training regime, whether you do heavy weights, Crossfit, yoga, pound the pavement, surf or cycle and you'll have a more balanced program that you'll be able to maintain and continue to benefit from. Remember, the key to fitness is moving often. The key to moving often is moving well. This is the ultimate reformer workout. Its dynamic sequence targets all areas of the body and will help get you fit and strong, fast. This session uses fluidity through movement to create a workout that is challenging whilst enhancing mobility and strength through range.